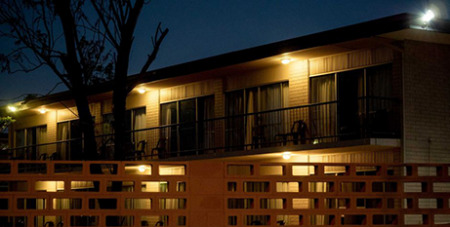 Reports of racial segregation at an Alice Springs hotel highlights the urgent need for the Northern Territory Government to address gaps in the Territory’s anti-discrimination laws, says Jesuit Social Services. As reported by the ABC, Aboriginal guests at Ibis Styles Alice Springs Oasis were accommodated in inferior rooms while being charged the same price as other guests. “This story is a horrific reminder of the regular discrimination and racism experienced by Aboriginal people on a daily basis in the Northern Territory, with one study finding that nearly a quarter of Aboriginal people reported experiencing direct discrimination,” says Jesuit Social Services’ Northern Territory general manager John Adams. Under current anti-discrimination laws in the Territory, only direct victims of the alleged discrimination can initiate a formal complaint process. In its submission to the Northern Territory review of the Anti-Discrimination Act in 2018, Jesuit Social Services highlighted the need for a representative complaints mechanism to enable another person to act on behalf of a group of people experiencing the same form of discrimination by the same entity. “This case exposes the flaws in a system where the onus remains on a victim to initiate a complaint – despite people experiencing systemic discrimination often being the least likely to be able to speak up. “We also know that accessing service systems, such as a formal complaints process, can be challenging for people who lack awareness of their rights or knowledge of the law. This can be exacerbated by people for whom English is not their first language or people experiencing complex disadvantage,” Mr Adams said. Jesuit Social Services’ submission also called for greater resourcing for the Northern Territory Anti-Discrimination Commissioner to exercise its power and to cater for a potential increase in complaints. “It is clear that urgent reform is required to address the Territory’s substantial and systemic discrimination issues,” says Mr Adams.